Hi, all. Liz McCall here. And yes, I self-identify as a board game junkie. I’ve always loved them. 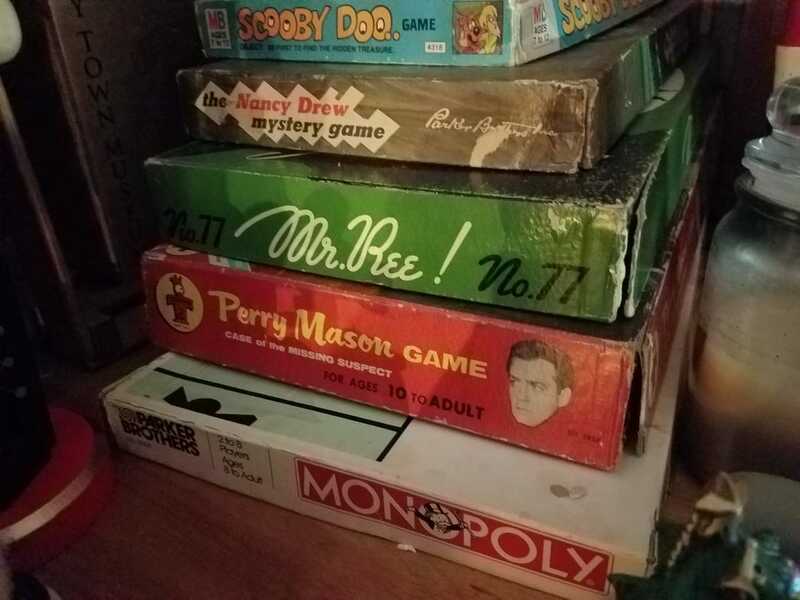 Like most people, I started out with Candy Land and Cootie, graduated to Sorry, Monopoly, and Clue, and kept on going into more challenging games like Settlers of Cataan, Ticket to Ride, and Pandemic. I love gathering with friends and the mental challenge board games provide. That span between Christmas and New Years (as well as the rest of the winter, at least in northern climes) is a perfect time to set up a board game party. And no, games are not just for children anymore! And if you’re anything like me, you have a new board game or two to show off to your friends—or one you’re dying to try. 1. Set up multiple tables and a conversation area, so folks can play the games they’d like, watch, or just gnosh and chat. You won't need this many!! 3. Provide a variety of games appropriate for your guests. Most games have the number of players, recommended age range, and approximate play time posted right on the box. Not everyone is up for that latest strategy game with 200 pieces and fifty pages of rules, so make sure to have some simpler games and old favorites available. Games like Uno, Yahtzee, and Apples to Apples are still fun and make great choices. 4. Of course, a certain vintage toyshop is a great place to look for games (hint, hint), but you can also look for games at thrift stores. (Just check for missing pieces.) Some libraries even have games to check out. And don’t be shy to ask your friends to bring along their favorite games. 5. For most games, you can find instructional videos on YouTube. These can be quite helpful and can really streamline the learning process. When introducing a complicated game, it can also be helpful to pair newbies with those who have already played. 6. If you’re hosting, gently encourage guests to play with different people rather than the same group all night, and keep your eyes open for anyone left out! Question: Do you have a favorite board game? Oh! We love board games in our family. We love to play card games too. My kiddos love Spoons! I would go to this toy store all the time if I lived near. I loved to play Scrabble. I sure do i love Monopoly and lots of other board games when my son was young Friday night was our game night and a friend would come over and it would be midnight before we were done. So much fun. We're huge board game and card players in our family. Right now the family favourite is Settlers of Catan. I <3 board games! My 5 and 3 year old got a lot of them for xmas! We got them: Sorry, Trouble, Hungry hungry hippos and Jenga. Never heard for Pandemic - had to go look it up!